Poll below with the pictures of the options. The poll will automatically close by December 1st at midnight. I super appreciate any & all that vote. Believe me, I like all of these & it’s been kinda hard narrowing it down, so please HALP ^.^; Incidentally, all monster girls pulled from Monster Girl Encyclopedia, Vol 2 book for those wondering. Panels went great, had a fun time cosplaying, had a great time with friends, & this was probably my best year going of the 5 I’ve been going. Both of my panels, Sit Down, STFU, & Play This J-RPG (Deluxe Edition) & Final Fantasy: Love It or Hate It, They Still Have All Your $$$, went really well & I had a great audience at both. Cosplay wise, I wore Jonathan Joestar (JJBA) & Gundham Tanaka (SDR2) Friday; Dante (DMC4) & Mondo Oowada (DR) Saturday; & Casual Euphemia (CG) Sunday. Had a great time in all my cosplays, esp. 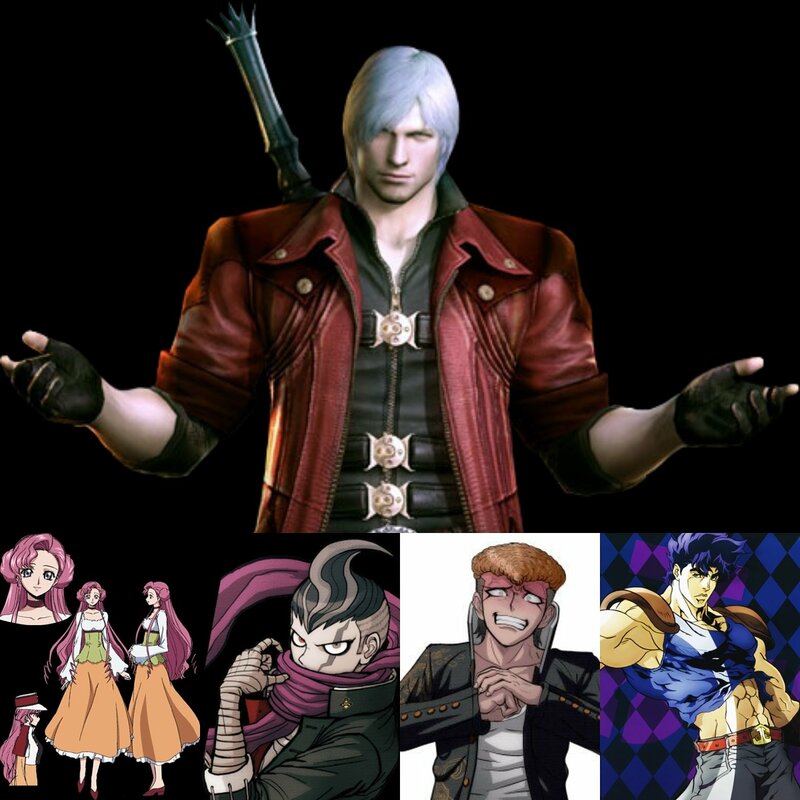 the DanganRonpa ones & Dante. I had 2 friends also cosplay Vergil to my Dante, & that was the best time I had at the con cosplay wise. It got to the point that my friend & I were pretty much standing in the same spot & ppl kept coming up, asking for pictures, freaking o It cause ZOMG, DMC!?! ?, & it just made my day. I personally don’t have that happen too often with cosplay stuff, so it’s always a treasure when it does happen. Ended the con w/ Oppression-con shenanigans; i.e., dinner at Cracker Barrel, & wrapped up & altogether great weekend. Actually looking forward to next year for once. As mentioned in my other post, the Nekocon logo image belongs to them & I in no way claim the artwork as my own. With no panels for AUSA, that means I can focus on: updating the site, catching up on making posts to my FB page, working on a boatload of cosplays, planning other events, & general going crazy doing ALL THE THINGS. I already began the process but I’m slowly updating different pages on this site, but I’ll be sure to make a blog post whenever I add resource materials for a particular con/panels. Anyway, just giving this quick update. Next post I’ll be making is for the sole purpose of having somewhere to hour my poll for what monster girl cosplay I should do for a group for Katsucon 2018 & another basic one going over my Nekocon experience. Note: featured image logo of Nekocon by their artists. I take no credit for the artwork, just using it as an image for this post.